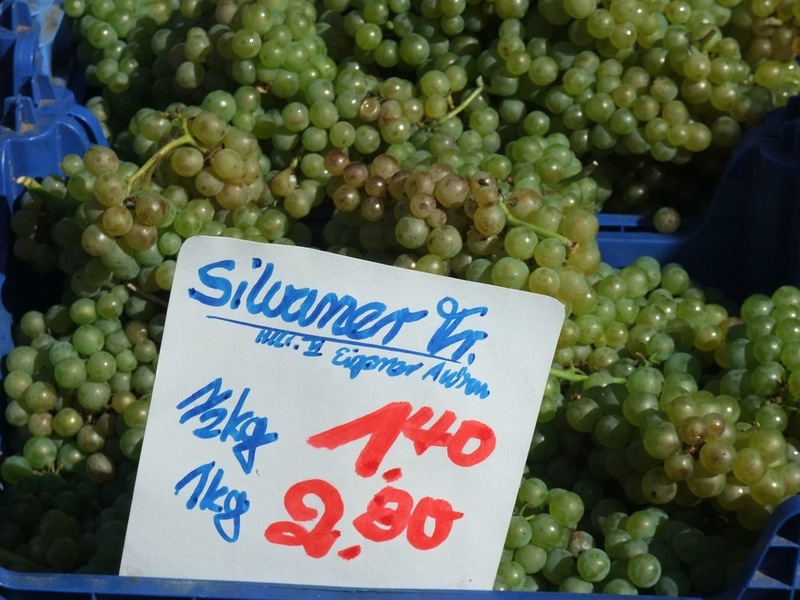 One of the great things about living in Stuttgart is that there are always plenty of opportunities to buy fresh, seasonal fruits and vegetables. I hesitate to say more, because I remember more farmer's stands growing up around farms in Maryland, and in Charlottesville, VA we had a Saturday farmer's market. Still, it seems that Stuttgart has all of that and more between the many tucked-away produce stands, the covered Markthalle, and the various smaller village markets. The best, though, has to be the main Wochenmarkt in the Marktplatz that makes an appearance not just on Saturdays, but on Tuesdays and Thursdays, too. 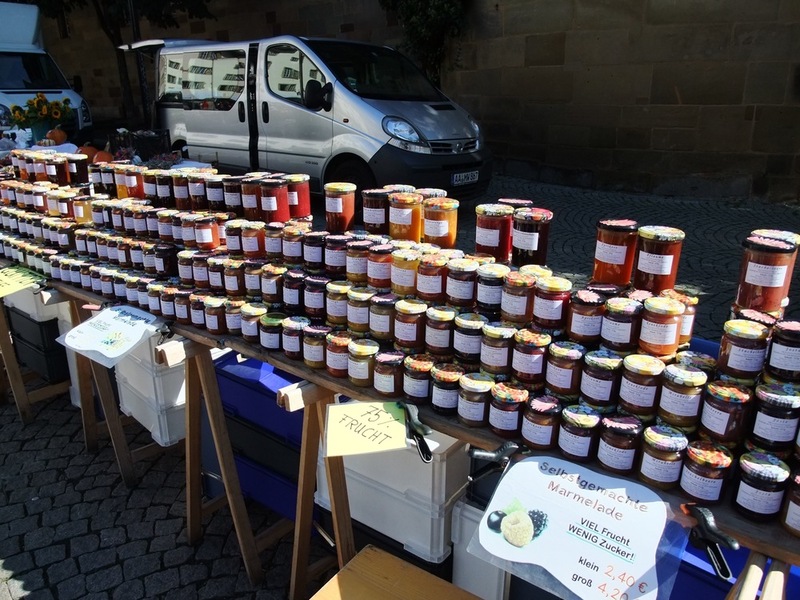 According to their website, Stuttgart has had a market since 1304 on Tuesdays and Saturdays (Thursdays were added in 1775 if you're counting). The current market covers over 8500 square meters downtown with over 450 different vendors. You'll mostly find flowers and jams in the Schillerplatz area, as well as a baker's stand at which I always see some very long lines. 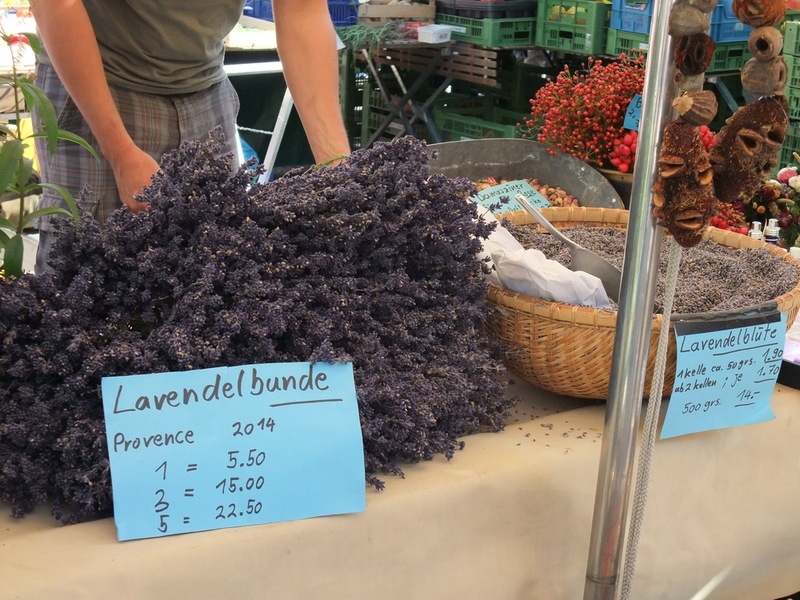 Around the Marktplatz in front of the Rathaus is where you'll see the usual seasonal fruits and vegetables in addition to cheeses, meats, and other local products, like honey, wine, and spirits. 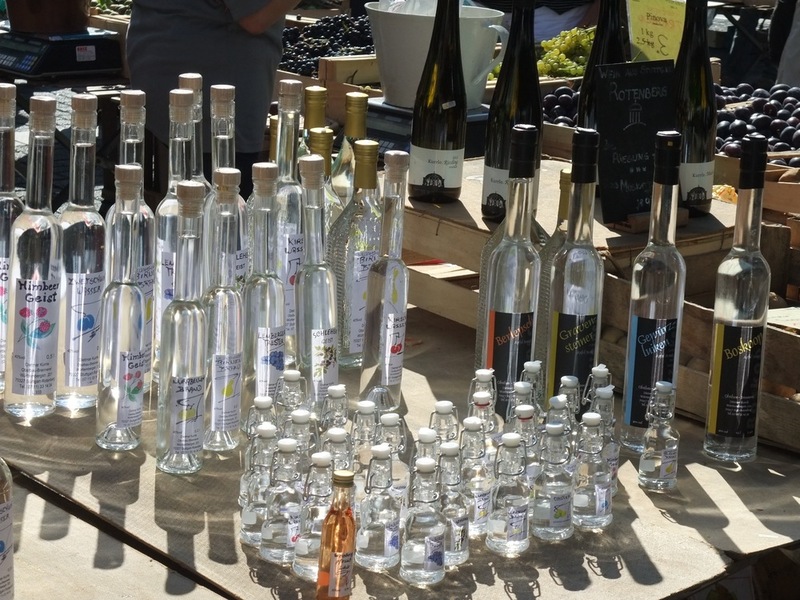 If you go on a Saturday, you'll also be able to find the weekly flea market in the Karlsplatz. It's a great place to find old jewelry, furniture, leather bags, records, and books. Every time I've been I've seen some different vendors, so it's worth going back more than once if there's something specific you're looking for. The Tuesday/Thursday/Saturday produce market usually runs until about 1 pm, while the flea market goes a little longer until 4 pm. You can easily get there by getting off at the Charlottenplatz U-bahn station and walking through the market down Kirchstraße towards the Rathaus or getting off at the Rathaus U-bahn station and walking towards Charlottenplatz. If you go the later route, be sure to stop at Grand Café Planie for some Kaffee und Küchen (coffee and cake) after you've done your shopping for a real treat!